Double your speed and save more time with HP’s true print and cut solution. Manage the integrated workflow from a single point, and take advantage of HP Signage Suite to produce more applications—no design skills needed. Interested in the HP Latex 315 Print & Cut Solution? 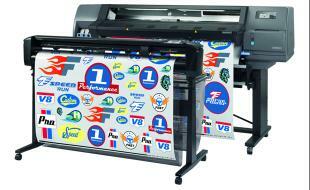 Contact us to see how the Large Format Printer can help your business!